These cabinets have all new toughened glass and are ready for a new shop! 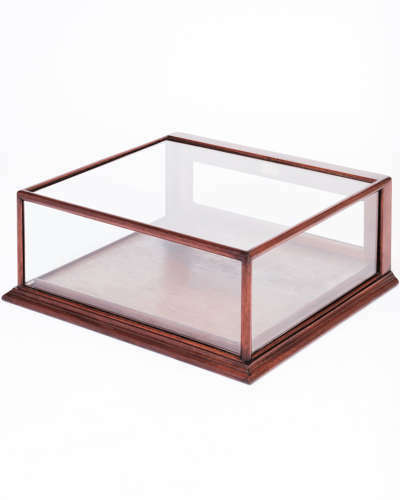 They have removable base trays so are ideal for jewellery, medals, toys, or other small fashion items - they are also lockable. The frame is mahogany with a great colour. We have a pair available. They can be sold singly. Price is for the pair including VAT.